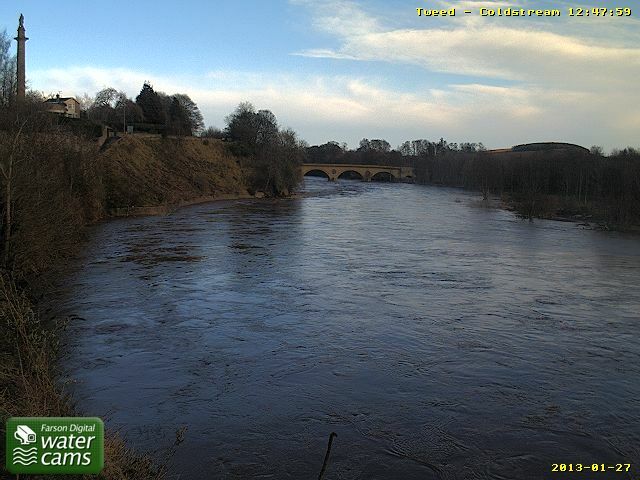 Well the snow is on its way out, having already had a shift through most of the Tweed catchment. 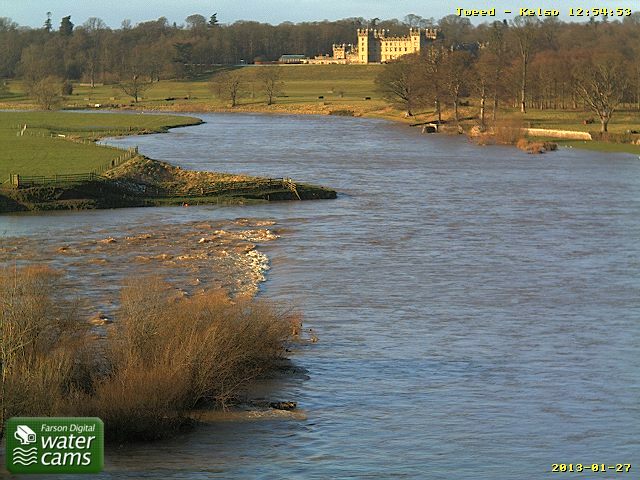 With the thaw, comes the flood and the forecast is not brilliant for the week. Bright with sunny intervals and showers today. Windy. A cloudy start with showery outbreaks of rain, but these soon clearing, with sunny spells developing for a time, especially over the Borders. Another band of showers will move east across the area during the afternoon, snow on hills. Windy. Maximum Temperature 7 °C. Showers will become isolated during the evening and night, with clear spells developing, leading to frost in some sheltered spots. Fresh southwesterly winds. Minimum Temperature 0 °C. A bright start in the east, then outbreaks of rain spreading east across all parts, heavy at times before turning showery later. Windy. Maximum Temperature 8 °C. Very wet and windy, with rain spreading northeast across all parts on Tuesday, with gale or severe gales developing, showers or rain following for Wednesday and Thursday, winds slowly easing. 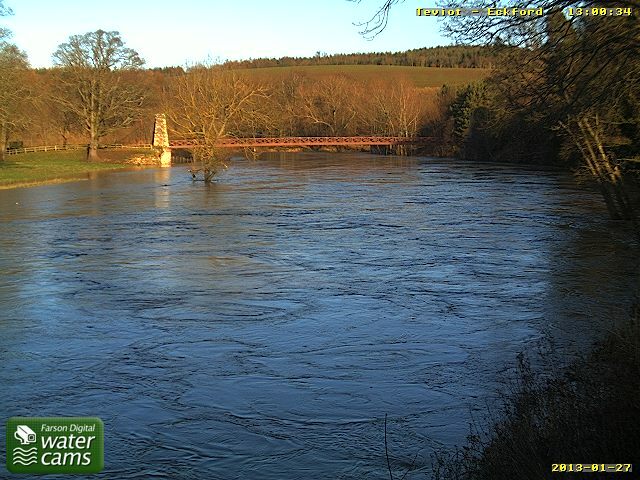 The photos are from the @FarsonDigital web cams at Kelso, Coldstream and Teviot Smokery at Eckford.